If you live in New England, then it’s pretty safe to say that fall festivities are right up your alley. One annual tradition that is of particular importance is the one night where we can all transform into anyone we want… Yes, I’m talking about Halloween! You may have noticed that I used the word “all” because contrary to what you may think, Halloween is a holiday for all of us (not just the kiddos). Perhaps you’ve been invited to a party or maybe an office celebration where friends and coworkers will be whipping up wardrobe creations and you just haven’t found the inspiration yet to make your own? No problem! For those who love to garden or have a fancy for florals, I have just the ideas for you and most of the materials needed can be found already at home. 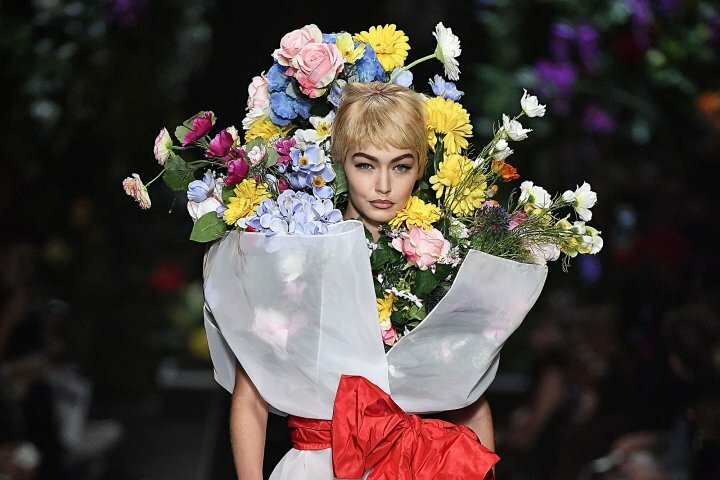 This costume is too cute if you love flowers, plus it’s quick and simple so you don’t need a whole lot of time to accomplish the look. Just wrap yourself in an extra-large piece of paper and tie with a ribbon. Add blossoms to the packaging by cutting large blooms out of construction paper and either glue to the back of the paper or attach to sticks that can be inserted inside the cone. Be sure to dress in a single color such as black, navy or red and presto! Your Halloween look is complete. If you own a flower shop and have an employee who is willing, have them put on this outfit on October 31st to greet customers at the door. Patrons will get a kick out of the company’s holiday spirit as well as attract others who might be passing by. This design is quick and easy to throw together in a pinch since all you really need is a smock, clipboard and maybe either a small arrangement or bouquet of roses to hold. Simple jeans and a t-shirt are the best pieces to wear underneath and letting a little stubble grow in will also add to the effect. Florists are typically NOT glamourous people who often work long hours contrary to what most believe. Sporting fancy jackets, pants or expensive jewelry will draw away the authenticity of “florist role” so be sure to stay in character as much as possible. If you know a florist already, ask them to borrow some arrangement cards that you can put in your front pocket or hand out to others as an added accessory. If you really want it to look real, hold a dixie cup in your hand and tell people it’s coffee. I haven’t met a florist yet who isn’t addicted to the stuff!